There is ALWAYS room for salad. ARTfarm Saturday morning, 10am – 12 noon: Sweet salad mix, microgreens, baby arugula, baby spicy salad mix, cucumbers, radishes, garlic chives, mint, recao, Italian basil, lemongrass, passionfruit, zinnia flowers and vegetable starts including tomatoes and basils. From our partners we have vegan fruity ice cream from I-Sha, mangoes from Tropical Exotics, lovely avocados from a friend… and the fishmongers Kim & Ryan will be here again with fresh filets! 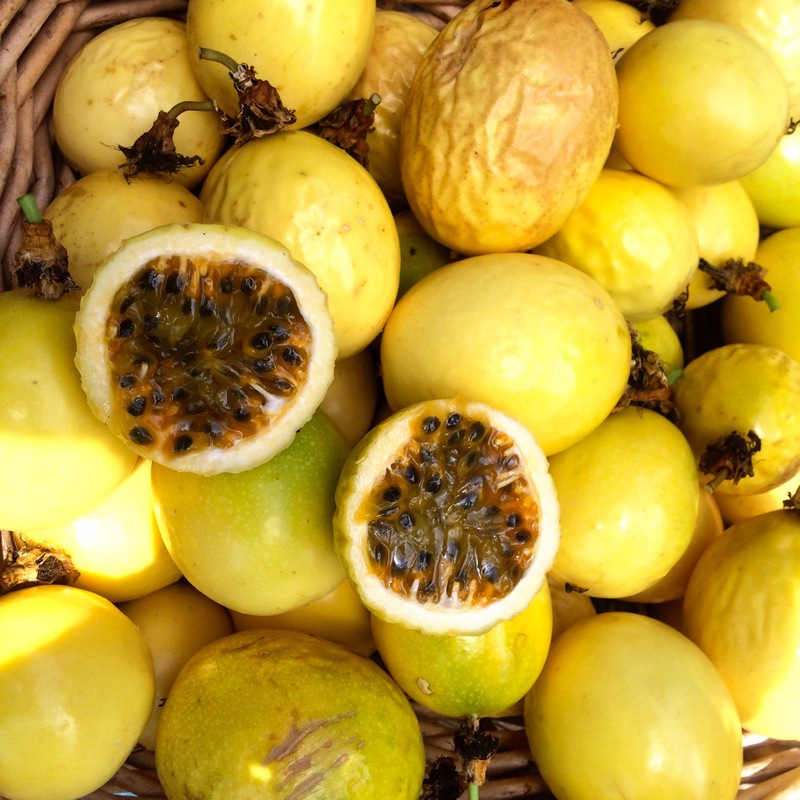 It’s been a recent trend among farmstand visitors that a surprising number of individuals are completely unfamiliar with passionfruit. We beg you, consult the Crucian Contessa on this topic. Will you be open on Wed now? Yes, we will be resuming our regular Wednesday afternoon hours, 3–6 p.m. Thanks for the reminder, we need to change our sign!